A squeaky brake is the last thing anyone wants to hear while driving a car. Noisy brakes could indicate normal wear and tear, such as dust and dirt build-up on the brakes, or something more extensive, such as warped brake shoes, a broken brake return, or worn-out brake lines. One source of brake noise could be damaged disc brakes. 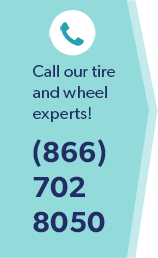 Connected to the wheel and axle, each of your car's four disc brakes are responsible for slowing or stopping the rotation of a wheel when it's in motion. The disc brake consists of the brake pad, rotor, and caliper. Sometimes the disc brakes can stick or clamp down more firmly than they should, which can damage calipers and lead to squealing. The squeal results from vibration between the brake pads, rotors, and brake calipers. A certain amount of noise from disc brakes can be expected due to their semi-metallic composition, which can lead to natural high-pitched squealing noises that do not need to be remedied or repaired. Noisy brakes should always be inspected to make sure there isn't a problem with the brake system. For instance, if your brake pads have worn out to where metal-on-metal contact is occurring, you may further damage your braking system, and, most importantly, the brake system may not be able to stop your vehicle safely. For more information on brake maintenance and service, contact Wiygul Automotive Clinic. A AAA-approved center for auto repair and maintenance, Wiygul Automotive Clinic specializes in complete foreign and domestic repair service, including brake maintenance and inspections. Wiygul Automotive Clinic has been providing the Burke, Fairfax Station, Clifton, and Fairfax area with expert service since 1996.